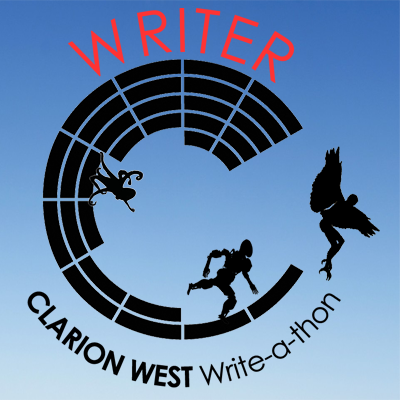 So, last month I signed up for the Clarion West Write-a-Thon, a month-long writing spree that kicks off today. I thought “Why not?” thinking it’d be a good way to hold me accountable writing-wise. It is also the well-known writing workshop’s annual fundraiser, so you can sponsor authors (like me!) as they try to meet their writing goals. Me? I’m going to use it to bang out some short stories and add to a novel in progress.